A group of landowners in Morton County, North Dakota, has sued the company responsible for developing the Dakota Access Pipeline, claiming the company deceived them during negotiations for pipeline easements. The federal lawsuit, filed Wednesday in US District Court, claims agents working as contractors for Dakota Access LLC harassed, threatened and misled residents who owned land that the company wanted in order to build the Dakota Access Pipeline (DAPL). Landowners involved in the lawsuit own 11 separate parcels of land in Morton County, adding up to about nine miles of the pipeline's route, attorney Peter Zuger said, according to Forum News Service. Some landowners were deceived into believing they were offered the best price for pipeline easements when, in fact, other landowners had been offered much more, the lawsuit says. Agents also told landowners they had 30 days to consider the company's offer before a 20 percent signing bonus would be rescinded. "The landowners were told that they were being offered the best deal that was ever going to come along and no one else would receive a better deal," said Zuger. "Many were told their land could be taken by eminent domain if they didn't agree." Landowners were told they would get "basically nothing" if their land was taken through an eminent domain process, the lawsuit says. The DAPL is being developed by Energy Transfer Partners, the parent company of Dakota Access LLC. A spokeswoman for the company would not comment on the lawsuit, Forum News Service reported. 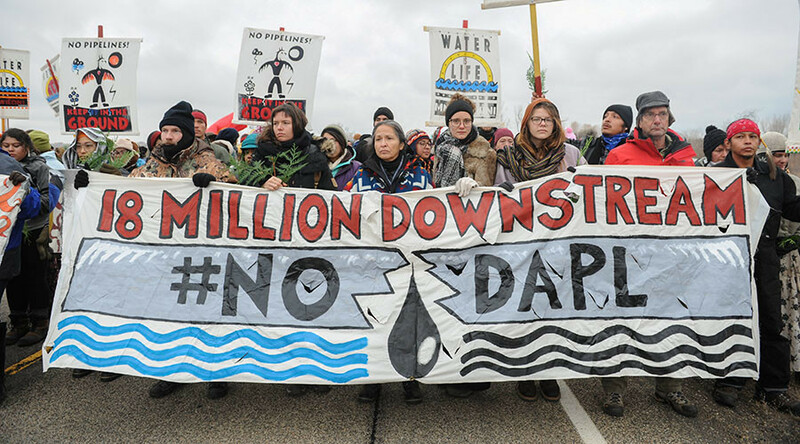 Throughout much of 2016, the 1,172-mile DAPL attracted dedicated protests given the pipeline was being constructed on sacred Native American land and through Lake Oahe, the primary source of drinking water for the Standing Rock Sioux nation in North Dakota. 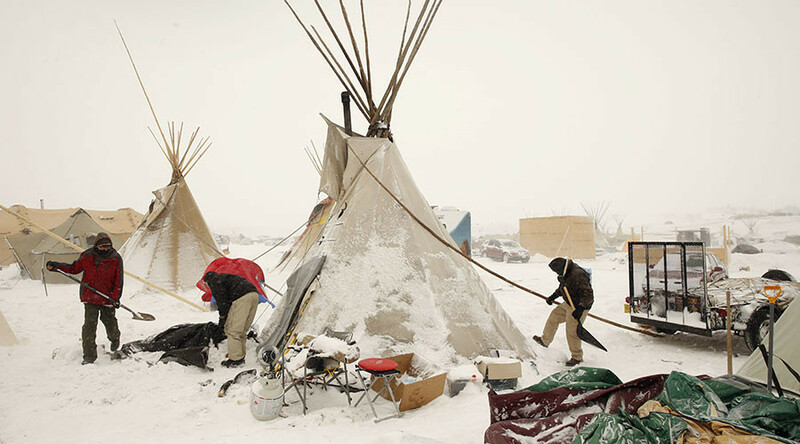 The Standing Rock Sioux's fight attracted many sympathizers to protest camps set up at the northern end of their reservation, at the confluence of the Missouri and Cannonball Rivers. 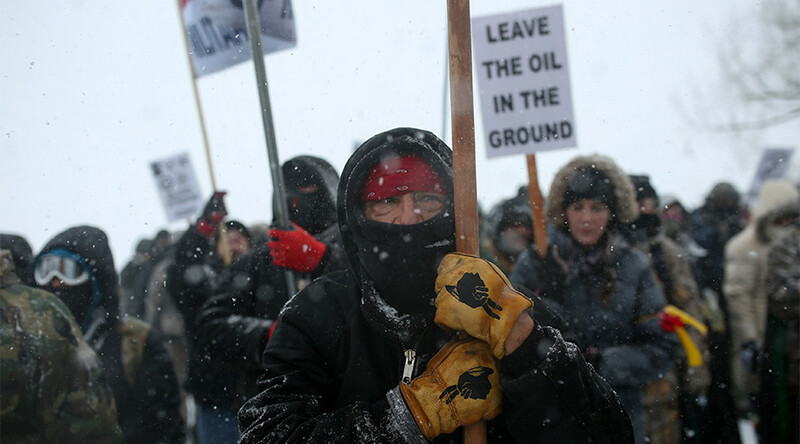 Following many high-profile clashes between law enforcement and protesters, the US Army Corps of Engineers announced in early December that the DAPL would be rerouted away from Lake Oahe. 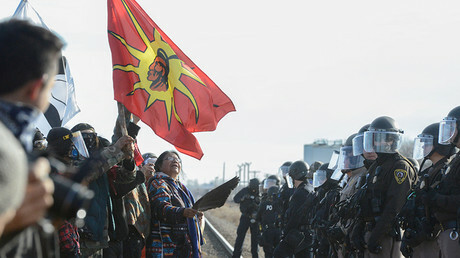 Prior to the announcement, at least 564 people were arrested during protests, according to the Morton County Sheriff's Department. Diehard protesters remain at the site. The $3.78 billion pipeline is being built to connect the Bakken oil fields in northern North Dakota to an oil tank farm in Illinois, where it will then link up to other pipeline systems, including the Keystone Pipeline. Other lawsuits regarding the DAPL's construction are currently pending. Among them is a challenge from Dakota Access LLC against the Corps of Engineers over permitting rights, while others cover an eminent domain dispute in Iowa and excessive force used by law enforcement.